Identity matters because we’re all unique. We were raised in countries, cities, and towns. We have unique backgrounds. We’ve faced specific challenges. And we've learned a lot along the way. At Okta we believe those experiences equip us to look at the world with our own perspective. Our product protects your right to be you, and we want every single one of our employees to feel a sense of belonging, acceptance, and comfort to express their ideas, because ultimately our differences are what makes us great. Find your place or create your own. W@Okta is a platform to educate, support and ultimately improve gender diversity at Okta. Our team members discuss important topics such as gender equality and diversity, and participate in sponsored talks around leadership and negotiations. We also network and have fun with local philanthropy programs and networking at social events as well. Pride@Okta is dedicated to providing support, resources, social and networking opportunities for the LGTBQ community and allies in support of Okta's commitment to people. 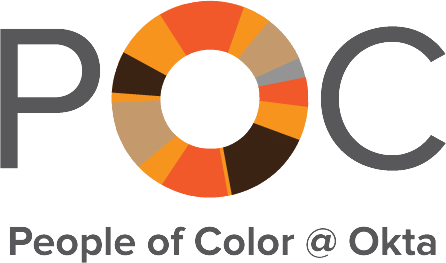 People of Color @ Okta is dedicated to promoting equity and inclusion through representation of all cultures, ethnicities and genders. We aim to disrupt the status quo by building a culturally and ethnically diverse community that celebrates our intersecting identities at Okta.